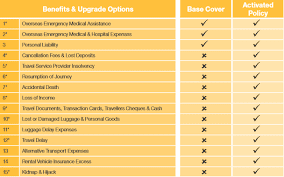 So you still don’t buy travel insurance. But you do have car insurance, home insurance, and health insurance. Have any of these netted you a payout large enough to cover all the premiums you’ve paid throughout the years? Probably not. But you still have insurance—just in case. Well, that ‘just in case” can happen when you are traveling, too. And the costs of a major illness or accident or weather event can be much higher than the premiums paid out. We recently returned from a trip to India and Nepal. After two marvelous weeks exploring wildlife parks, temples, countryside, and much more in India, we headed to Nepal. That was about the time my husband Larry started feeling bad. A hotel doctor diagnosed him with bronchitis, gave him medicine, and suggested he rest for a couple of days. We canceled our trip to Chitwan National Park and stayed in Kathmandu two extra nights before flying to Pokhara. The night before leaving Pokhara, things started going really downhill for him. He was admitted to the local clinic which determined he needed to be at a better equipped facility in Kathmandu, where he was taken by helicopter the next morning. Without going into specifics, suffice it to say he was in the hospital for eight days receiving treatment before he was cleared to fly back to the States. Even though the cost for medical care in Nepal is significantly less than equivalent services in the U.S., it doesn’t take long in a hospital to incur a large bill. Most U.S. insurance companies (especially if you’re on Medicare or Medicare advantage-type program) won’t guarantee payment to a hospital in a remote location like Nepal, which means we had to pay our bills (make sure your credit card limit is fairly high) and then file claims for reimbursement. The one thing our travel insurance did cover upfront was our flight home. However, they only provided economy fare, although our original, but canceled flight, was in business class. And Larry needed to be in business class as per the doctor’s recommendation because of how weak he was. So getting reimbursed for the extra fee is an issue I’m still working on. Even so, I was grateful for what the insurance did cover on the 40-hour flight home, which was a significant expense since it was a last-minute booking. And I’m hoping coverage will extend to a good portion of the other expenses. That was the second time we had a large claim during travel. About two years ago we went to Antarctica with an extension to Easter Island following the icy expedition. Weather created the problem this time as we could not get back to mainland Chile when scheduled, which played havoc with our flights to Easter Island and later return to the U.S. In all we paid out nearly $7000 more to continue our journey and return home afterwards, which the insurance company covered in full. Yes, travel insurance cost can be hefty, but we would never have gone without it because of the uncertainty of traveling in remote parts of the world. Before each trip, check the credit card on which you book travel (cruises, flights, tours, hotels, etc.) to see what kind of coverage is offered for non-refundable expenditures as well as medical expenses. 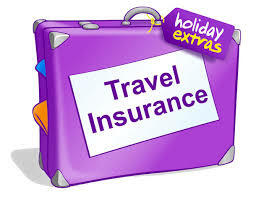 If it’s substantial, you may be able to lower the amount of coverage purchased for regular travel insurance. 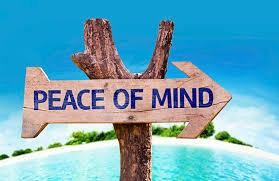 You can consider a med-evac type of policy, too, although most regular travel insurance policies include around $150,000 for that service (which is highly unlikely to be used and does not guarantee transport back to the U.S. only to the nearest facility that can provide necessary treatment). Even if your destination isn’t so far away as Antarctica or Nepal, travel insurance is a good investment. 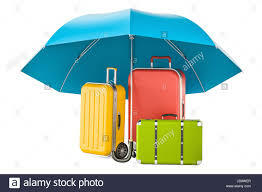 Many costs are incurred prior to travel, and things can disrupt your plans (luggage didn't arrive where you did? Flights delayed or cancelled?) even before a trip as well as during. I would never book a major trip without insurance—just in case.